The acting watchdog for the Defense Department offered fresh details and guarded optimism on the likelihood of success in the record-size departmentwide audit the Pentagon has embarked upon. 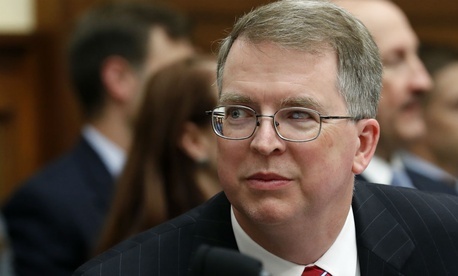 The December announcement by Pentagon Comptroller David Norquist that the IG was assigning 1,200 auditors and independent public accounting firms was the culmination of decades of frustration and a congressionally mandated goal of creating auditable financial statements. And though lawmakers of both parties had backed legislation requiring such an audit, some in the auditing field worry that the effort—slated to cost $847 million—is too expensive. The financial statement audit coordinated by the IG’s office will involve 24 stand-alone audits of every component, Fine said, citing the Army, Air Force, Navy and Marine Corps as well as the Defense Contract Audit Agency, the Defense Information Systems Agency and the Defense Health Agency. The IG will create a “centralized database for visibility” so chief financial officers have all the notices of findings and can correct deficiencies and make improvements that will “lead to better decisions” while assuring the public that the department knows where the spending is going and combatting waste fraud and abuse, he added. Every year, a cybersecurity salesman will come in and tell Defense it has to have a new product, Grover Norquist added, “Without an audit every year, no one checks” whether that is true.